2012 was GMM's final year as an organization. Thanks to all participants and supporters! Girls Making Media was created in 2008 to offer hands-on digital media literacy programs to young women aged 10-21, in Tucson and Pima County AZ, that teach them media skills for employment, creative and self-empowerment purposes. Girls Making Media offers young women beginning media classes, internship programs, and opportunities to become student teachers. Participants create, and teach other young women to create, media segments about issues of importance to women and girls. Participants also create promotional media for organizations, individuals and businesses in the community. Girls Making Media collaborates with organizations and governments to bring its programs to underserved populations of young women with interest in learning media skills, and to seed youth media centers in communities that want them. Girls Making Media teaches young women to learn and teach media skills to other young women, young men and adults who want to utilize these skills for themselves and their communities. Independent media maker Quin Elizabeth Wilson began teaching girls media skills in 2005. 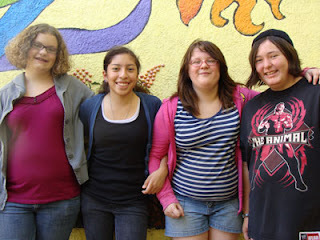 The “Girls Making Media” program started in 2008, in collaboration with WomanKraft Art Center, the Pima County/Tucson Women’s Commission, and with a grant from the Every Voice in Action Foundation (R) . To see all videos created by all past participants, go to our archive YouTube Channel! 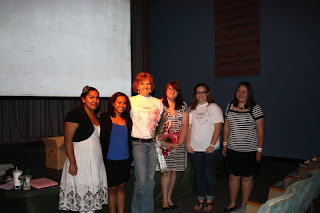 In April of 2009 “Girls Making Media” through WomanKraft Art Center were awarded a two year grant from the American Association of University Women to continue the “Girls Making Media” program in the Tucson area. In 2011 GMM was a part of a grant to Iskashitaa Refugee Network, awarded by Tucson Pima Arts Council, to create a cookbook and videos highlighting the culinary arts of women from Congo, Bhutan, Afghanistan, Iraq, Kenya and others. This project is now complete, and the public will see the results soon. GMM has taught over 80 participants how to tell a story that is important to them!